You’ve taken a big first step in creating healthier, happier relationships. In addition to the Authentic Power Guidelines, you will receive Soul Connections, our celebrated monthly newsletter with tips and stories to help you apply the Authentic Power Guidelines to your everyday experiences. If the Authentic Power Guidelines are helpful to you, take the next step and enroll in The Seat of the Soul Life School. We hope you enjoy our website, articles and answers to questions by Gary, free videos, SoulBlog (always interesting), and come back often. Also, please introduce yourself to us when you come to one of our events. We look forward to meeting you in person. 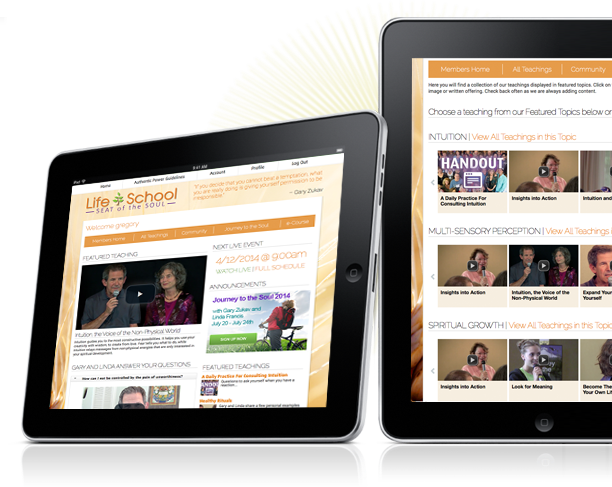 Life School – NOW OPEN! 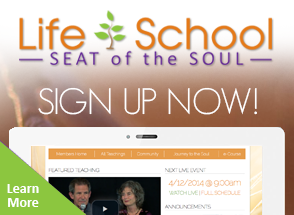 The Seat of the Soul Life School is Now Open for Enrollment! Life School is an ongoing learning environment providing opportunities to learn directly from Gary Zukav and Linda Francis. Step into a life of abundance with infinite possibilities. Use all of the situations in your life to grow spiritually and align your personality with your soul! Begin your transformational journey into freedom, joy and love.